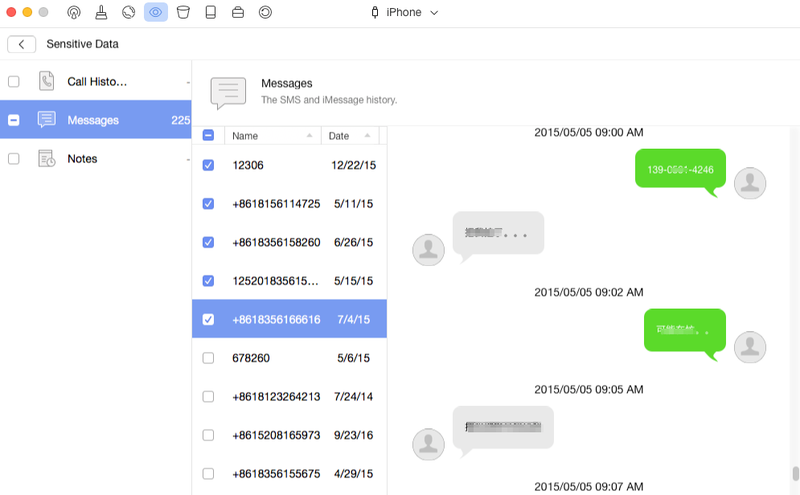 How to delete messages on iPhone? Read this guide to get a quick way to delete deleted messages on iPhone 7/8/X/6s/5s. This easy-to-use tool can help you delete saved messages on iPhone 7/8/X/6s/5s permanently. Just give it a try by yourself. Analysis: Many users are stuck on the same situation as the above user. When they check the Usage of their iPhone, they find the Messages takes up to 3-4 GB space, even up to dozens of GBs. They don't know how to delete them, and even don't know where these saved messages are stored. This potentially frustrating behavior is the result of an intricacy of how the iPhone deletes data. When you delete some data or files from your iPhone, actually those data or files are not deleted. They are just marked with a deletion by the operating system, and hidden so that you can't see them any more. That's why the deleted messages takes up so much storage space on the iPhone. Solutions: How to delete deleted messages on iPhone 7/8/X/6s/5s completely? The most common way experts will suggest is to reset all data on iPhone: Just go to Settings > General > Reset > Erase All Content and Settings to make it. You will also need to delete backups that you have created as well in iTunes or iCloud. But in this way, other data will also be removed. So is there a way that can only delete messages on iPhone? Yes, PhoneClean is the answer. PhoneClean is a powerful iOS cleaning tool that can help users remove all kinds of junk files on iPhone iPad including messages. It can help you find all the existed and deleted messages on your device. You can delete all the messages at once, or preview and then select the messages you want to remove. Now download PhoneClean and follow the steps below to permanently delete text messages on iPhone 7/6s/5s or new iPhone 8/X. Step 1. Run PhoneClean on your computer (Mac or PC) > Connect your iPhone to computer. Click Privacy Clean, and start scan your iPhone. Step 2. After the scan is over, double click Sensitive Data to view the saved messages on your iPhone. Choose the conversations you want to delete, and then back to the result page. Step 3. Click the Clean button to completely remove messages on iPhone. You can also click Secure Cleanup to find and remove the deleted but still existed messages on your iPhone. 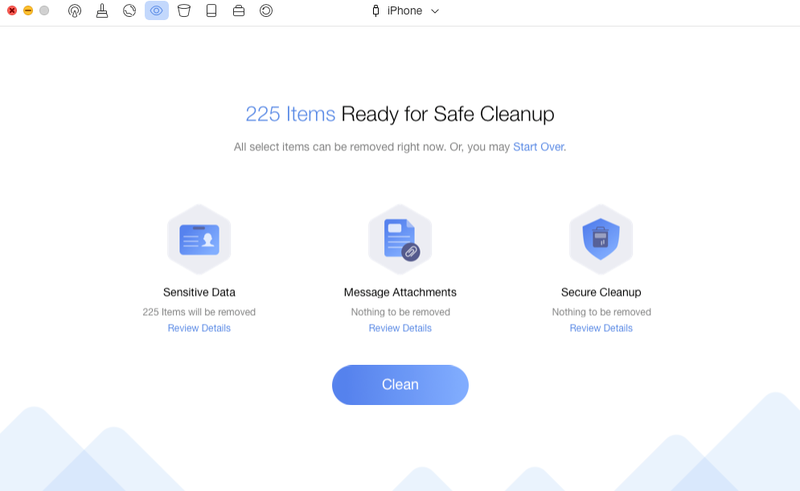 - When removing junk files or personal info from iPhone/iPad/iPod touch with PhoneClean, it will back up your device firstly so that you can restore it any appointed backup time. - In order to get more free space on your iPhone, you can select all things you want to delete and also perform a Quick Clean at the same time. - This tutorial also can be applied to delete iMessages on iPhone iPad and iPod touch. If you are also a Mac user, you may want to know how to clean up the junk files from your Mac for free. Now you can try the safe & free cleaning tool MacClean to achieve this goal.